Upcoming Spanish Classes Near You – Spanish L.C. Spanish Language Center offers conversational group Spanish lessons at multiple locations (listed below) as well as live online classes. Classes are scheduled once a week on a set day and time. 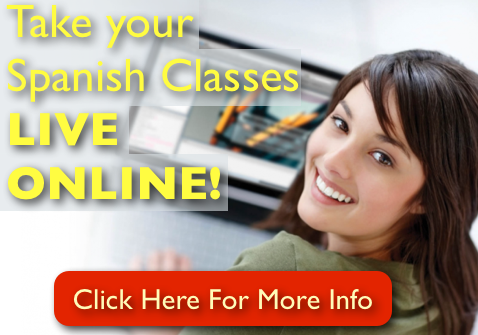 Our Spanish classes are available year-round, and students may enroll at any time. Private or semi-private classes may start immediately and upcoming group class schedules are listed below (click on your preferred location). Spanish Language Center has an experienced instructor certified to teach with our methodology (Cortez Method™) for in person classes with you at any of the cities listed below. Classes may be held at our location (where available) or at yours. Our Spanish classes are available year-round, and students may enroll at any time. Private or semi-private classes may start immediately and group classes (where available) are scheduled in each location. If you do not see a location/city that works for you, please try our live-online classes for in person classes. There is only one reason why the demand for our classes has grown beyond Chicago limits. That reason is our logical and effective teaching methodology: The Cortez Method™. Throughout the years, as some of our instructors relocate, and as new instructors join our effort to teach Spanish in other cities, we now have Spanish classes available in other locations outside the Chicagoland area. Our goal is to eventually have a qualified instructor - trained to teach with our methodology - available at every city in the United States. 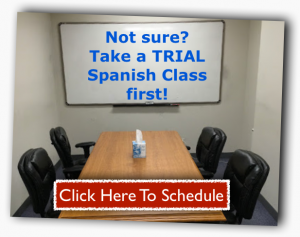 Meanwhile, if the commute to any of our locations is not convenient for you, you may still take Spanish classes with one of our qualified instructors live online (if in doubt, click here for a FREE online trial class).